I’ve followed Jo Marsh and her Billy Button Wines for some time, mostly as they are focused on my beloved Italian grape varieties. After finally meeting Jo at the Australian Alternative Varieties Wine Show late last year, I was thrilled to finally be able to open some bottles here on the IntrepidWino YouTube channel. I looked at three white wines made from varieties that originate from different parts of Italy. Let me know your thoughts in the comments below! Mario Marson has worked in vineyards in Australia for many years, and has been a champion for high quality grapes making high quality wines. 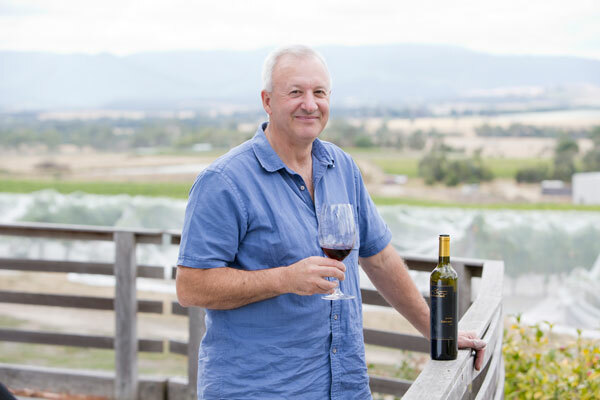 When he decided to plant his own vineyard, he chose to do so in the Victorian region of Heathcote, and he chose to plant some grape varieties that were close to his family heritage in Italy. His Vinea Marson wines were some of the first to show how high quality wines from alternative grapes could be achieved in Australia, and today are highly sought after by a market that is embracing difference. Subscribe to Intrepid Wino on YouTube and like a few videos, leave a comment too! Watch my tasting of two vintages of the Vinea Marson Sangiovese! Crisp and fresh but plenty of vibrant fruit. Needs a touch more bitey acid. Lovely bright sharp citrus pineapple guava. Freshness and texture, mouth filling and food-friendly. A touch closed at the moment. Depth and weight, certainly not shy. Looking a little reductive at the moment. But good structure. Much more complete textural full wine. Nice bitey tang, lots of quince, great with food. Fresh light balanced long and pretty. Good wine, but far from classic of the variety. Very tight bright and lifted. Linear and precise, lacking flesh. Sweet dark fruit fine long and elegant. Unrepentantly hands-off and simple approach. Slighter bead but finer, linear precise refined style. Not friendly punter style, brisk and lean. More interesting. A little shy and thin at the moment. Perhaps the vintage. Good freshness but a bit lacking. Very late savoury almond notes. More lifted aromatics, floral but also mineralic. More depth and expression, ripeness and concentration. Taken to its logical conclusion. Intensity life but very fresh and lithe. Pinpoint accuracy, a very different expression. Lovely colour. Depth life and plenty of flavour but dry, fresh and a bit savoury. Just a hint of sweetness at the end. Darker plummier cherry fruit. Soft unctuous and just a hint if fruit sweetness, still very fine and fresh. Tight sweet dark fruit. Structure and depth, great tannins. Very young IMHO. Purity elegance ethereal, lifted delicate expressive assured.